A couple of other points worth knowing in relation to engine numbers. Firstly, the 2286cc petrol and diesel engines had interchangeable cylinder blocks. It is not uncommon for engine reconditioners to mix and match components, so you may find a diesel engine with a petrol serial number or vice versa. This should not be a problem on 5 bearing engines as the petrol and diesel used the same crankshaft, but on the earlier 3 bearing engine, petrol crankshafts were cast, and much weaker than the forged items used in diesel engines. If you put a petrol crankshaft in a diesel engine, it will run fine but may break under load. So if you find a diesel engine which has a petrol serial number on it, you need to be sure that the crankshaft has been replaced with the correct diesel type. To confuse matters more, some unscrupulous firms have been known to put petrol cranks in reconditioned diesels, and hope they last until after the warranty runs out. So with a 3 bearing diesel of unknown history, the safest check is to remove the sump and take a look inside. (Sump gaskets are very cheap, and you can clean all the old gunge from the bottom of the sump at the same time.) If the crank has a large letter 'P' cast into it, and is of smooth appearance, it is a petrol crank. If it is slightly rough looking and has no letter 'P' it's a diesel crank. Compression ratios: although Land Rover used different serial numbers for low compression (7:1) and high compression (8:1) four cylinder petrol engines, the cylinder heads are interchangeable between the two, so the engine number is not a reliable guide to the actual specification. 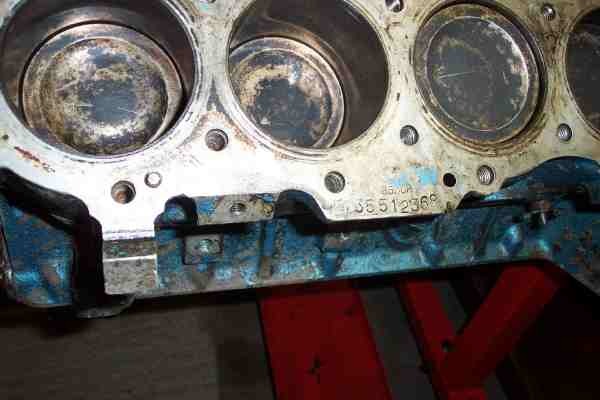 The compression ratio is cast into the side of the cylinder head. Also worth knowing is that Land Rover introduced a new cylinder block for the 2.5 Turbodiesel (part no. 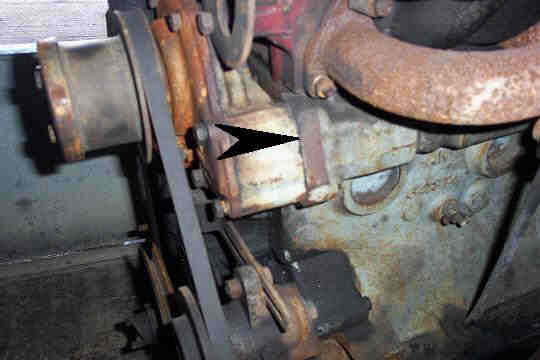 ERR479) from engine number 19J27515C. I have not been able to confirm, but suspect that this block was strengthened to get round the block cracking problems for which the 2.5TD had become notorious. Certainly the later (1989-90) 2.5TD seems more durable than the earlier ones. If I were rebuilding one of these engines I would try to get hold of a late block just to be sure - I certainly wouldn't bother rebuilding an earlier one. Finally, whereas the 2286cc petrol and diesel blocks have the same part number, on 2495cc engines they are different (and the TD is different again). So I do not know whether these blocks are interchangeable. Finding your serial number: On four cylinder engines, the engine number is stamped on a flat area just forward of and below the front exhaust port, between the exhaust manifold and the water pump housing. On V8s it can be seen by looking down between number 2 and 3 exhaust outlets on the left hand (dipstick) side. Click here for more information on engine designs. There may be a few gaps in the above information, particularly Army vehicles and TDi 200/300 engines (although the latter can be easily identified without needing serial numbers). Any information to plug the gaps will be gratefully received.